The landmass of France makes up almost a fifth of the whole of the EU. It’s the most visited country in the world – 83.7 million people visited in 2014 (9.3 million of those visited the Louvre, making it the most visited museum in the world too). Mont Blanc, in the French Alps, is the highest in Europe at 4810m. Does the menu look overwhelming? Looking for a formula to use as a skeleton for your studies in France? 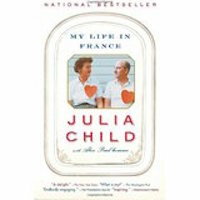 Julia Child single-handedly created a new approach to American cuisine with her cookbook Mastering the Art of French Cooking and her television show The French Chef, but as she reveals in this bestselling memoir, she was not always a master chef. Indeed, when she first arrived in France in 1948 with her husband, Paul, who was to work for the USIS, she spoke no French and knew nothing about the country itself. But as she dove into French culture, buying food at local markets and taking classes at the Cordon Bleu, her life changed forever with her newfound passion for cooking and teaching. Julia’s unforgettable story – struggles with the head of the Cordon Bleu, rejections from publishers to whom she sent her now-famous cookbook, a wonderful, nearly fifty-year long marriage that took them across the globe – unfolds with the spirit so key to her success as a chef and a writer, brilliantly capturing one of the most endearing American personalities of the last fifty years. Sixty Million Frenchmen Can’t be Wrong: What Makes the French so French? 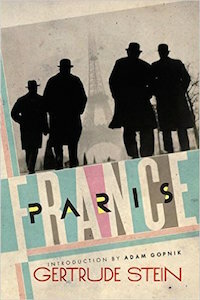 Two Canadian journalists dig deep into the French culture and psyche, to try and unravel the many paradoxes of France. 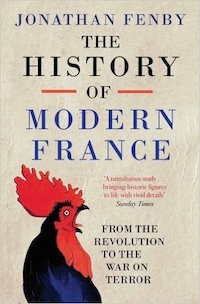 For example, at the time of writing the book, France had the world’s highest productivity index per hour worked and yet a 35-hour working week, sacrosanct lunch breaks and long paid annual leave. They smoke, drink and eat more fat than anyone in the world, but have low obesity and fewer heart problems than Americans. The book was first published in 2003; it would be an interesting exercise to see how much of has changed since then in our globalized world. Written in 1989, still a classic and funny diary of daily life in France for a British couple who moved to the mountains between Avignon and Aix. The couple enthusiastically try to get to know their country neighbours and their host country. 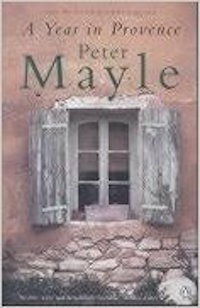 Peter Mayle has published a number of subsequent books, and A Year in Provence was also turned into a TV series. 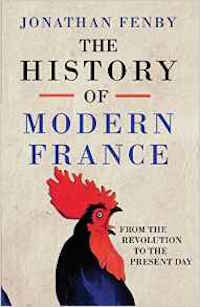 This is a concise introduction to the history of France. It starts with the Romanisation of Gaul, moves through the various kings and republic before summarizing contemporary France. This lively and useful guide provides the essential clues to an understanding of France’s past and present, in entertaining and sometimes surprising detail. France has a varied and interesting history, from pre-Roman Gaul, to Barbaric and German invasions, through the Middle-Ages to revolution and the countless regime changes since. The guide explores the various stages of France’s development from Napoleon to Vichy France, right up to the modern politics of today. 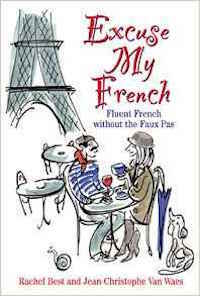 This is a French language book with a difference. 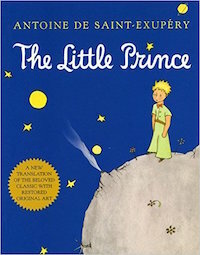 It focuses on idiomatic, chatty language and provides French equivalents for common English proverbs, like, “Don’t run before you can walk,” in French is, “Ne pète pas plus haut que ton cul.” Sounds wonderfully romantic in French but it means, “Don’t fart higher than your bottom!” And the French go window-licking, not window shopping. 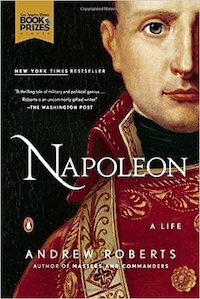 This is the story of Marie Antoinette’s son, Louis-Charles XVII. Very spoilt and destined to be the King of France, his life was drastically altered by the French Revolution in 1789. Aged only 8 at the time, he was locked up in the Tower and his parents were beheaded. He was declared dead two years later, but because no body was ever discovered, rumours and mystery surround what might have happened to him. 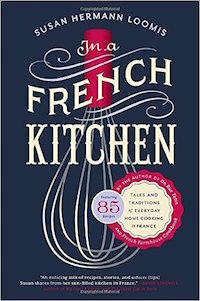 With In a French Kitchen, Loomis—an expat who long ago traded her American grocery store for a bustling French farmer’s market—demystifies in lively prose the seemingly effortless je ne sais quoi behind a simple French meal. French cooks have the savoir faire to get out of a low-ingredient bind. They are deeply knowledgeable about seasonal produce and what mélange of simple ingredients will bring out the best of their garden or local market. They are perfectly at ease with cracked bowls and little counter space. In a French Kitchen proves that delicious, decadent meals aren’t complicated. Loomis takes lessons from busy, everyday people and offers tricks and recipes to create a meal more focused on quality ingredients and time at the table than on time in the kitchen. This book traces the global, national, and local origins of the conflict between Muslims and Jews in France, challenging the belief that rising anti-Semitism in France is rooted solely in the unfolding crisis in Israel and Palestine. Maud Mandel shows how the conflict in fact emerged from processes internal to French society itself even as it was shaped by affairs elsewhere, particularly in North Africa during the era of decolonization. 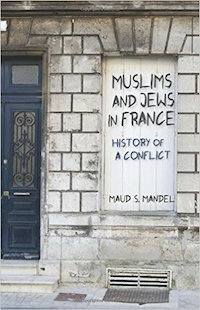 Mandel examines moments in which conflicts between Muslims and Jews became a matter of concern to French police, the media, and an array of self-appointed spokesmen from both communities: Israel’s War of Independence in 1948, France’s decolonization of North Africa, the 1967 Arab-Israeli War, the 1968 student riots, and François Mitterrand’s experiments with multiculturalism in the 1980s. 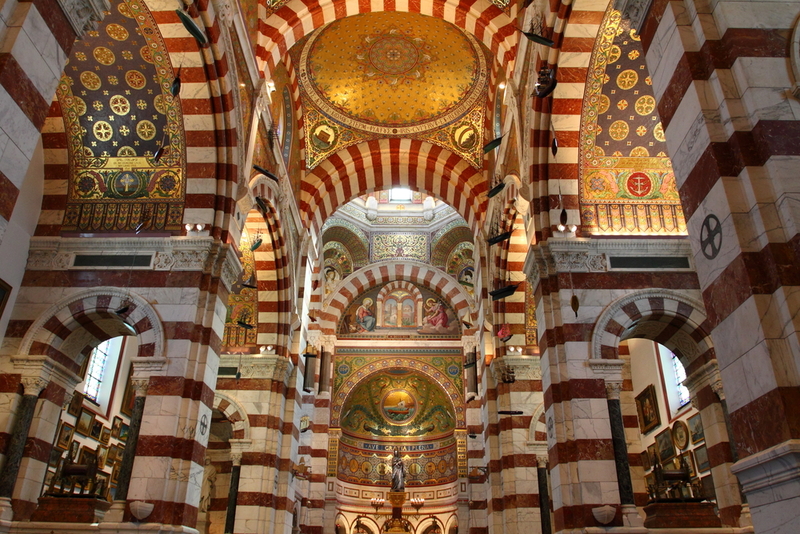 She takes an in-depth, on-the-ground look at interethnic relations in Marseille, which is home to the country’s largest Muslim and Jewish populations outside of Paris. 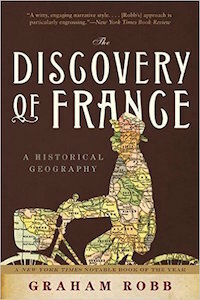 She reveals how Muslims and Jews in France have related to each other in diverse ways throughout this history–as former residents of French North Africa, as immigrants competing for limited resources, as employers and employees, as victims of racist aggression, as religious minorities in a secularizing state, and as French citizens. High unemployment, an archaic economic system, a self-selecting governing class unable to handle serious problems, and a debilitating clash between individualism and the powerful state machine that was built on a foundation reaching back to the Revolution of 1789 continue to plague the nation, making it less able than ever to fulfill its role as a world leader. The economic crisis and the European Union’s ongoing fiscal instability, as well as a parade of scandals at the top, have left it weaker than ever halfway into the second decade of the new century. Jonathan Fenby has covered France for fifty years. In this new edition, he offers a loving though candid and unvarnished picture of the nation, contrasting its glorious past with current realities. He explores not only the problems and the challenges but also the opportunities that lie ahead if only its political class can finally face reality—and carry the people along with them. 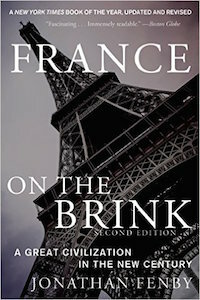 Filled with contemporary and historical anecdotes, France on the Brink depicts the many contradictory aspects of the world’s most complex, seductive, and sometimes infuriating country, and will give even the most knowledgeable Francophile plenty to think about. In his twenties, he fought for France in the trenches and at the epic battle of Verdun. In the 1930s, he waged a lonely battle to enable France to better resist Hitler’s Germany. Thereafter, he twice rescued the nation from defeat and decline by extraordinary displays of leadership, political acumen, daring, and bluff, heading off civil war and leaving a heritage adopted by his successors of right and left. Le Général, as he became known from 1940 on, appeared as if he was carved from a single monumental block, but was in fact extremely complex, a man with deep personal feelings and recurrent mood swings, devoted to his family and often seeking reassurance from those around him. This is a magisterial, sweeping biography of one of the great leaders of the twentieth century and of the country with which he so identified himself. 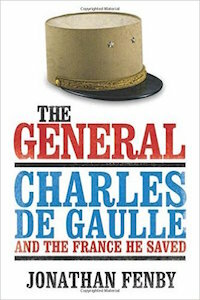 Written with terrific verve, narrative skill, and rigorous detail, the first major work on de Gaulle in fifteen years brings alive as never before the private man as well as the public leader through exhaustive research and analysis. Before it became a standard military tactic, and immortalised in film, the science of sniping was both untrusted and often regarded as unsportsmanlike by the military. To nostalgic British generals ardent for the cavalry charge and volley fire, the use of a crack marksman, working alone to pick off unsuspecting enemy, was just ‘not cricket’. But the Germans were not so short-sighted. By the end of 1915, the German sniper dominated the battlefield, inflicting countless British fatalities, and severely weakening morale. That same year, the renowned adventurer and big game hunter, Hesketh-Prichard arrived in the trenches to remedy the perception of sniping in the British army, and wrestle the initiative away from the Germans. Armed with his personal supply of rifles and telescopic sights, he was given the freedom of the British front-line to hunt the deadliest of German snipers and inspire the British to better marksmanship. 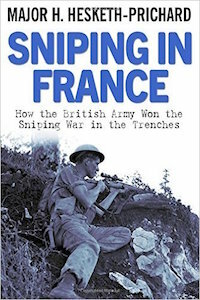 In this absorbing account he tells the story of those duels, the genesis of scout sniping, the ruses invented to lure an enemy out into the open, and the founding of the first British army sniping school.‘Sniping in France’ is the true story of how one man and his rifle helped alter the course of war. In an impersonal, machine-ruled conflict, Major-General Hesketh-Prichard sketches a rare tale of British ingenuity, dramatic duels and extraordinary individuals. With the defeat of Napoleon Bonaparte at the Battle of Waterloo in June 1815, the next two centuries for France would be tumultuous. Bestselling historian and political commentator Jonathan Fenby provides an expert and riveting journey through this period as he recounts and analyses the extraordinary sequence of events of this period from the end of the First Revolution through two others, a return of Empire, three catastrophic wars with Germany, periods of stability and hope interspersed with years of uncertainty and high tensions. As her cross-Channel neighbour Great Britain would equally suffer, France was to undergo the wrenching loss of colonies in the post-Second World War as the new modern world we know today took shape. Her attempts to become the leader of the European union is a constant struggle, as was her lack of support for America in the two Gulf Wars of the past twenty years. Alongside this came huge social changes and cultural landmarks but also fundamental questioning of what this nation, which considers itself exceptional, really stood – and stands – for. That saga and those questions permeate the France of today, now with an implacable enemy to face in the form of Islamic extremism which so bloodily announced itself this year in Paris. Fenby will detail every event, every struggle and every outcome across this expanse of 200 years. 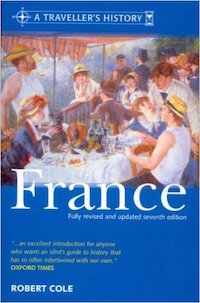 It will prove to be the definitive guide to understanding France. 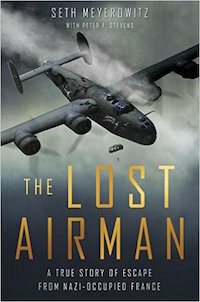 Based on recently declassified material, exclusive personal interviews, and extensive research into the French Resistance, The Lost Airman tells the tense and riveting story of Arthur’s trying months in Toulouse—masquerading as a deaf mute and working with a downed British pilot to evade the Nazis—and of his hair-raising journey to freedom involving a perilous trek over the Pyrenees and a voyage aboard a fishing boat with U-boats lurking below and Luftwaffe fighters looming above. With photographs and maps included, this is a never-before-told true story of endurance, perseverance, and escape during World War II. 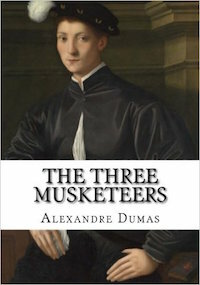 The Three Musketeers is a novel by Alexandre Dumas. Set in the 17th century, it recounts the adventures of a young man named d’Artagnan after he leaves home to travel to Paris, to join the Musketeers of the Guard. D’Artagnan is not one of the musketeers of the title; those being his friends Athos, Porthos and Aramis, inseparable friends who live by the motto “all for one, one for all”, a motto which is first put forth by d’Artagnan. In genre, The Three Musketeers is primarily a historical novel and adventure. However Dumas also frequently works into the plot various injustices, abuses and absurdities of the ancien regime, giving the novel an additional political aspect at a time when the debate in France between republicans and monarchists was still fierce. Poisoner, despot, necromancer — the dark legend of Catherine de Medici is centuries old. 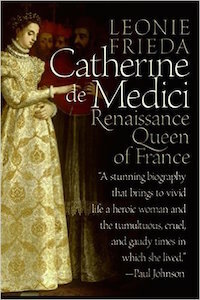 In this critically hailed biography, Leonie Frieda reclaims the story of this unjustly maligned queen to reveal a skilled ruler battling extraordinary political and personal odds — from a troubled childhood in Florence to her marriage to Henry, son of King Francis I of France; from her transformation of French culture to her fight to protect her throne and her sons’ birthright. Based on thousands of private letters, it is a remarkable account of one of the most influential women ever to wear a crown. 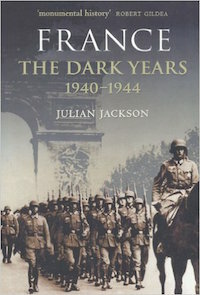 This is the first comprehensive study of the German occupation of France between 1940 and 1944. The author examines the nature and extent of collaboration and resistance, different experiences of Occupation, the persecution of the Jews, intellectual and cultural life under Occupation, and the purge trials that followed. He concludes by tracing the legacy and memory of the Occupation since 1945. Taking in ordinary peoples’ experiences, this volume uncovers the conflicting memories of occupation which ensure that even today France continues to debate the legacy of the Vichy years. Celebrated for her innovative literary bravura, Gertrude Stein (1874–1946) settled into a bustling Paris at the turn of the twentieth century, never again to return to her native America. While in Paris, she not only surrounded herself with―and tirelessly championed the careers of―a remarkable group of young expatriate artists but also solidified herself as “one of the most controversial figures of American letters” (New York Times). In Paris France (1940)―published here with a new introduction from Adam Gopnik―Stein unites her childhood memories of Paris with her observations about everything from art and war to love and cooking. The result is an unforgettable glimpse into a bygone era, one on the brink of revolutionary change. Immediately, rumors spread that the prince had, in fact, escaped from prison and was still alive. Others believed that he had been murdered, his heart cut out and preserved as a relic. As with the tragedies of England’s princes in the Tower and the Romanov archduchess Anastasia, countless “brothers” soon approached Louis-Charles’s older sister, Marie-Therese, who survived the revolution. They claimed not only the dauphin’s name, but also his inheritance. Several “princes” were plausible, but which, if any, was the real heir to the French throne? 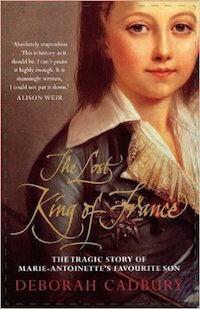 The Lost King of France is a moving and dramatic tale that interweaves a pivotal moment in France’s history with a compelling detective story that involves pretenders to the crown, royalist plots and palace intrigue, bizarre legal battles, and modern science. 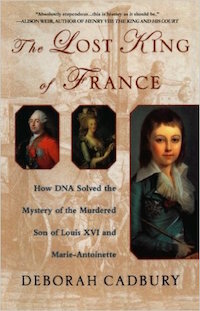 The quest for the truth continued into the twenty-first century, when, thanks to DNA testing, the strange odyssey of a stolen heart found within the royal tombs brought an exciting conclusion to the two-hundred-year-old mystery of the lost king of France. 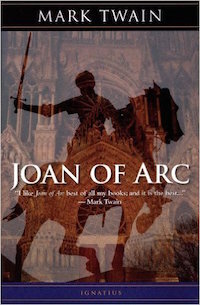 Very few people know that Mark Twain (Samuel Clemens) wrote a major work on Joan of Arc. Still fewer know that he considered it not only his most important but also his best work. He spent twelve years in research and many months in France doing archival work and then made several attempts until he felt he finally had the story he wanted to tell. He reached his conclusion about Joan’s unique place in history only after studying in detail accounts written by both sides, the French and the English. Because of Mark Twain’s antipathy to institutional religion, one might expect an anti-Catholic bias toward Joan or at least toward the bishops and theologians who condemned her. Instead one finds a remarkably accurate biography of the life and mission of Joan of Arc told by one of this country’s greatest storytellers. The very fact that Mark Twain wrote this book and wrote it the way he did is a powerful testimony to the attractive power of the Catholic Church’s saints. This is a book that really will inform and inspire. Unjustly imprisoned for 18 years in the Bastille, Dr. Alexandre Manette is reunited with his daughter, Lucie, and safely transported from France to England. It would seem that they could take up the threads of their lives in peace. As fate would have it though, the pair are summoned to the Old Bailey to testify against a young Frenchman — Charles Darnay — falsely accused of treason. Strangely enough, Darnay bears an uncanny resemblance to another man in the courtroom, the dissolute lawyer’s clerk Sydney Carton. It is a coincidence that saves Darnay from certain doom more than once. 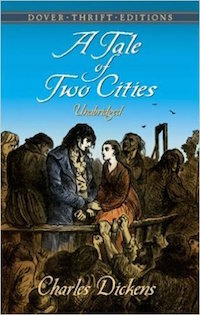 Brilliantly plotted, the novel is rich in drama, romance, and heroics that culminate in a daring prison escape in the shadow of the guillotine. 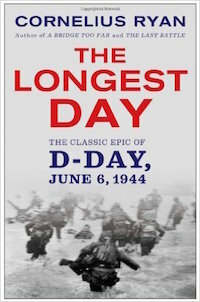 The Longest Day is Cornelius Ryan’s unsurpassed account of D-Day, a book that endures as a masterpiece of military history. In this compelling tale of courage and heroism, glory and tragedy, Ryan painstakingly recreates the fateful hours that preceded and followed the massive invasion of Normandy to retell the story of an epic battle that would turn the tide against world fascism and free Europe from the grip of Nazi Germany. In comparison to their British and German counterparts, the French airmen of the Great War are not well known. Yet their aerial exploits were just as remarkable, and their contribution to the war effort on the Western Front was equally important. 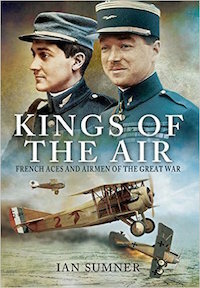 That is why Ian Sumner’s vivid history of the men of the French air force during the war is of such value. He tells their story using the words of the pioneering pilots and observers themselves, drawn from memoirs, diaries, letters, and contemporary newspapers, magazines and official documents. The recollections of the airmen give an authentic portrait of their role and their wartime careers. They cover recruitment and training, reconnaissance and artillery spotting, aerial combat, ground strafing and bombing, and squadron life. They also highlight the technical and tactical innovations made during those hectic years, as well as revealing the airmen’s attitude to the enemy – and their thoughts about the ever-present threat of injury and death. During the seventy-eight years of his life, Pierre-Auguste Renoir painted thousands of paintings and made uncounted drawings, watercolors, and sketches. 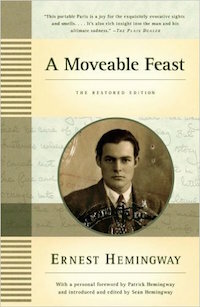 Behind this prodigious output, rivaling even Picasso’s, is a lifetime of struggle and anguish seldom hinted at in the work of this “happy painter.” His efforts to find a new art to match his vision of the world created by light and warmth are vividly and intimately chronicled here through his letters and those of his friends and patrons. Barbara Ehrlich White, a renowned Renoir scholar, devoted more than twenty years to searching out unpublished letters and documents that reveal his life as an artist and as a man. 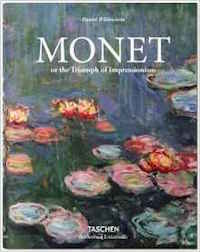 First published in 1984, her book was praised for its comprehensive yet intimate history of Renoir’s life and work. 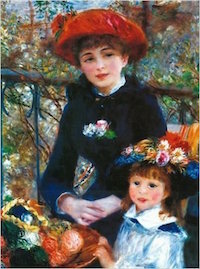 Now back in print, White’s classic book brilliantly contrasts the story of Renoir’s personal battle against crippling arthritis––as well as his loss of favor with old patrons dissatisfied when he developed a new style––with the joyous gratification of the senses that flows from his canvases. She captures both the underlying traditionalism of his training and his audacious breakthrough in style, subject, and technique. The historian, Johnathan Fenby, gives a 200-year history of France, starting with the defeat of Napolean in 1815. 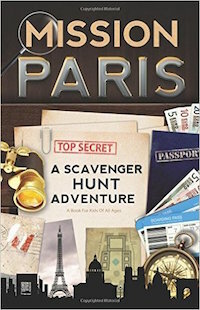 -Art Sleuths: They’ll search for clues in the treasures of the Louvre and Musée d’ Orsay. 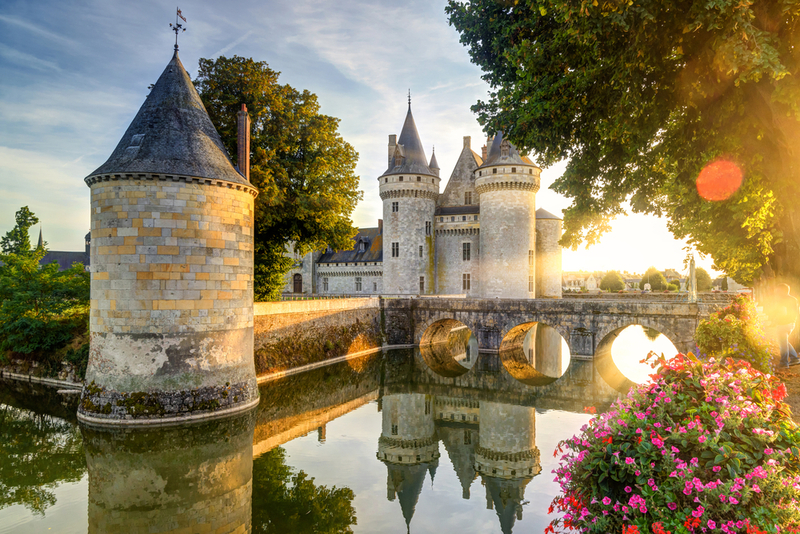 -Culture Detectives: They’ll discover the fascinating stories behind landmarks like the Eiffel Tower and Château de Vincennes, practice a bit of français (French), and sample sweet treats at boulangeries (bakeries). -Monument Investigators: They’ll uncover clues on the façade of Notre Dame, the stained glass of Sainte Chapelle, the mosaics of Sacré Coeur, and the statues of Luxembourg Gardens…and many more engaging activities. Children ages 8 through 12 enjoy a guided tour of France, with French landmarks, culture, history, foods, and much more. 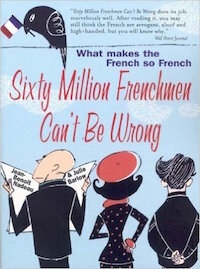 The text is in English, but many of the illustrations are bilingual–and the last six pages present an introduction to French words and phrases. The cat and the old woman have lived happily together for many years in the stone house by the sea. 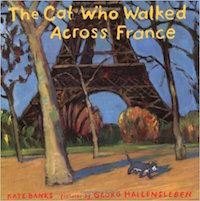 But when the old woman dies, the cat is packed up with her belongings and sent north to the village where she was born. Soon he is forgotten. He walks the streets aimlessly until, spurred by memories and a longing to return to the place he knows and loves, the cat embarks on a journey to find the home he was taken away from. In lyrical prose and breathtaking images, Kate Banks and Georg Hallensleben take the reader on a journey across the Norman countryside, past ancient ruins, through bustling cities, to the sparkling ports of the Mediterranean Sea and a place the cat can call home. Julie lives in Paris, but she longs to walk in a beautiful country garden. When her mother takes her on a visit to rural Giverny, Julie discovers a beautiful garden and befriends the man she believes is the gardener. 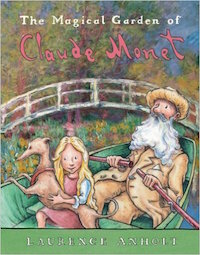 In fact, he is the garden’s owner, the immortal artist Claude Monet. This is a title in Barron’s Anholt’s Artists Books for Children series, in which author and illustrator Laurence Anholt recalls memorable and sometimes amusing moments when the lives of the artists were touched by children. Anholt’s fine illustrations appear on every page and include reproductions of works by the artists. **The author of this resource guide agrees. 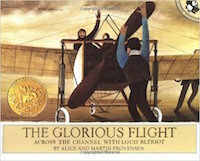 I used this book with my children when we were studying aviation history and reminded them of it when we were in France. Again a French classic, in English. 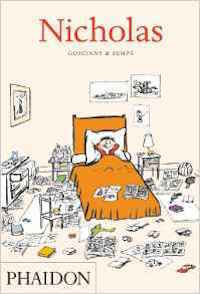 All French children are introduced to the world of Nicolas and his trials and tribulations in life. Funny even for adults. Réne Goscinny also wrote the classic Asterix series. 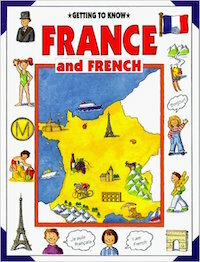 A great way for children to get a feel for life in France. 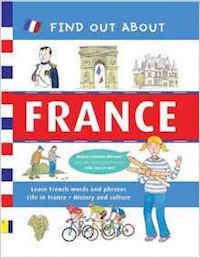 This series of books gives an insight for children into the daily life, culture, language and history of another country, here France. Although written for children the books are full of interesting information, clearly set out and brightly illustrated, which adults will enjoy too. This world-famous comic book series is published in dozens of world languages and has its own theme park near Paris. 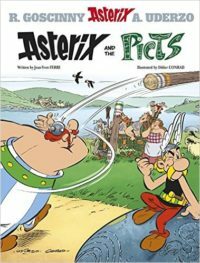 Asterix is a Gaulish Warrior (the first book is Asterix the Gaul) so takes a fun look at the history of France when is was run by the Romans. Classic characters include Marcus Ginandtonicus and Crismus Bonus. A French friend remembers the day she discovered the double-meaning of the names in the Asterix stories – she reread them all! Asterix adventures into neighbouring lands, as in Asterix and the Picts, where he meets the Pictish warriors of Scotland. 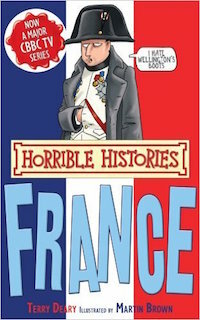 A gruesome but humorous insight into the history of France, delving into lesser known facts. It’s also a very popular TV series – an engaging way for children to learn history. Learn about the extreme rich and poor divide in the days before the French Revolution, when the rich bathed in strawberry baths and the poor ate grass and made flour from bones, tiles and bark because wheat was in such short supply. For children (or adults) of any age. 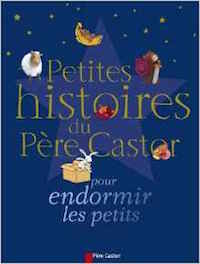 A beautiful book, the book my French neighbour buys every new baby she knows. It’s about looking, dressing, living, eating differently throughout the world, in picture and label format, with some short sentences. Great for practicing French. There are many books in the Père Castor series, all beautifully written and illustrated. 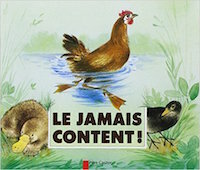 Many have become classics including La Vache Orange, a children’s book written and illustrated by an 8-year old. A great source of inspiration for young writers. A story about a hen who was never happy with what she had, and gradually changed each part of herself until she became a strange creature (a duck-billed platypus). A moving, gentle docufilm about a primary school year in rural France. Monsieur Lopez, the teacher, artfully calms, encourages and listens to his class of 12 pupils in a single-class school, as he guides the children, who are aged between 4 and 11, through their school day. There are endearing moments of pens up noses, broken photocopiers and stolen rubbers, but the enchantment comes from the glimpse of rural farm life for children in France, in one of the few remaining country schools. Pascal Payot is a goat farmer and mountain guide in the small village of Les Houches in the Chamonix Valley. He and environmentalists have watched the effects of global warming on the area: the reduced snowfall (meaning less water for the vegetation in Spring as the snow melts) and the retreating glaciers which feed the springs and water sources. This has impacted on both agriculture and tourism. This short video explains how Roquefort cheese is made, and the strict rules surrounding its production. There are only a handful (7?) licensed Roquefort cheese makers in the world. This film describes the challenges faced by a flower grower in Southern France against his neighbour who keeps a vital water source secret. It’s an adaptation of a famous novel by Marcel Pagnol and the film itself is one of the most popular foreign language films of all time. It’s a useful way for a French language learner to become familiar with the southern French accent when bread (pain) becomes “pang”. The sequel is Manon des Sources. A documentary about the French Résistance during the Second World War. A fascinating look at the problems surrounding muslims and islamic extremism in France, as well as the rise of the National Front. In the Alps, the climatic change effects are 3 times higher than the world average. Moreover, it appears in densely inhabited territories. Since 2003, climate warming turned alarming. The changes in the weather (more rain and less snow) are leading to natural risks as avalanche, floods, and collapses? The local inhabitants have to adapt their way of lives? but also the European people who depend on the water coming out of the glaciers. From Louis XIV to Napoleon Bonaparte, from the Palace of Versailles to the French Revolution and the Empire (including Louis XIV, Louis XV, Louis XVI, Marie-Antoinette, the French Revolution, and Napoleon Bonaparte). Chateau is a manor house or residence of the lord of the manor or a country house of nobility or gentry, with or without fortifications, originally – and still most frequently – in French-speaking regions. Previously, the legion was not stationed in mainland France except in wartime. Until 1962, the Foreign Legion headquarters was located in Sidi Bel Abbès, Algeria. Today, some units of the Légion are in Corsica or overseas possessions (mainly in French Guiana, guarding Guiana Space Centre), while the rest are in the south of mainland France. Current headquarters is in Aubagne, France, just outside Marseille. The May 1968 events in France were a volatile period of civil unrest punctuated by massive general strikes and the occupation of factories and universities across France. It was the largest general strike ever attempted in France, and the first ever nation-wide wildcat general strike. At the height of its fervour, the unrest virtually brought the entire advanced capitalist economy of France to a dramatic halt. The events had a resounding impact on French society that would be felt for decades to come. ‘Displaced’ follows three Syrians living in a makeshift camp on the Northern border of France. Each felt the need to leave home after the uprising in their home escalated. They survive on the bare minimum, living in tents in the winter, trying to cross to Britain every night. This documentary discusses the human collateral of an ongoing war through the stories of a graduate, a former student and an ex-Syrian Army soldier. This film was made by journalist Amel Guettatfi. Part 2 of A three-part series looking at the history of France’s black community and their long struggle for recognition. The Franco-Prussian War of 1870-71 was the first modern war in Europe. It was the longest military conflict fought on European soil since the end of the Napoleonic Wars. The end of the war marked the ascendency of Imperial Germany as the preeminent military power on the continent. Manufactured in Germany and printed in the U.S.A. by Allegro Corporation, Portland Oregon, 2007. Narrated by Bob Sessions. The Last Executioner (2004): Fernand Meysonnier is France’s last executioner. Over the years, he has helped chop off the heads of 200 people. The Eiffel Tower (French: La tour Eiffel, [tuʁ ɛfɛl]) is an iron lattice tower located on the Champ de Mars in Paris. It was named after the engineer Gustave Eiffel, whose company designed and built the tower. Erected in 1889 as the entrance arch to the 1889 World’s Fair, it was initially criticised by some of France’s leading artists and intellectuals for its design, but has become both a global cultural icon of France and one of the most recognizable structures in the world. The tower is the tallest structure in Paris and the most-visited paid monument in the world; 6.98 million people ascended it in 2011. The tower received its 250 millionth visitor in 2010. Frederick Studemann, comment and analysis editor, asks Paris bureau chief Hugh Carnegy and Peggy Hollinger, leader writer, if François Hollande has a viable plan to bring an end to France’s declining competitiveness. This documentary, originally aired on France 5 television, investigates the explosion of artisanal and raw milk cheese production in North America even as it is increasingly threatened in France itself, historically the “Land of Cheese”. Speaking to artisanal cheesemakers in France, America and Canada, as well as affineurs, cheesemongers, importers, educators, dairy scientists and people from all facets of the cheese business, we learn of the complex challenges facing the producers of artisanal cheese on both sides of the Atlantic, with equal measures of hope and concern for all involved. This is a romantic comedy set in Paris about a family that goes there because of business, and two young people who are engaged to be married in the fall have experiences there that change their lives. It’s about a young man’s great love for a city, Paris, and the illusion people have that a life different from theirs would be much better. It stars Owen Wilson, Rachel McAdams, Marion Cotillard, Kathy Bates, Carla Bruni, among others. Starring Audrey Tautou, Mathieu Kassovitz, and Jamel Debbouze, ‘Amélie’ tells the tale of a painfully shy waitress working at a tiny Paris cafe where she makes a surprising discovery and sees her life drastically changed for the better. From then on, Amélie dedicates herself to helping others find happiness in the most delightfully unexpected ways. But will she have the courage to do for herself what she has done for others? France’s history extends from the cave painters of Dordogne from around 20,000 BCE and is filled with fascinating stories and larger than life personas. 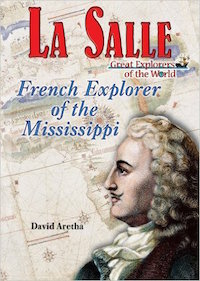 Take the time to dig a little bit deeper into an area of French history that interests you and peel back the surface of the country and it’s people as you travel. Of course, it’s always best if you can actually visit, in person, some of the places you’re studying, so plan your studies to reflect your travels, or vice versa. The roots of the modern women’s movement are found in the equality campaigns of the French Revolution. Do some research on the origins of modern Feminism as they relate to France. Who were the major players? How did it spread outward and around the world? Does France remain on the cutting edge of women’s rights? What is the current state of balance between the sexes as it pertains to employment, income, leadership potential, political representation and familial task breakdown? Compared to other first world nations, how does France compare when it comes to women’s rights? Are there any campaigns currently underway that are worth noting? Where are women still discriminated against and what is being done to level the playing field? The Creuse is a tiny department in Limousin, Central France. It’s has the lowest pollution levels, lowest crime rate, highest number of centenarians, lowest population density, yet is little know to even the French. From this tiny area came the stonemasons of the Creuse, who built the Panthéon, the Louvre, indeed much of the boulevard Haussmann in Paris and many of its other incredible buildings. In the 1800s there was a mass migration every spring of workers who set off on the long walk up to Paris and returned in the autumn. From humble beginnings, Martin Nadaud started this itinerant life at the age of 14, later becoming a revolutionary and politician. The story of these men and the families they left behind to tend the farms is a fascinating part of French history. What were working conditions like in Paris? How did this small group almost singlehandedly construct the finery of Paris? Find out about the life of Martin, the most famous Creusois mason. King Arthur and the legends surrounding him do not just play a role in the lives of British children, but they abound in France too. There is a major exhibition in Rennes about Le Roi Arthur. 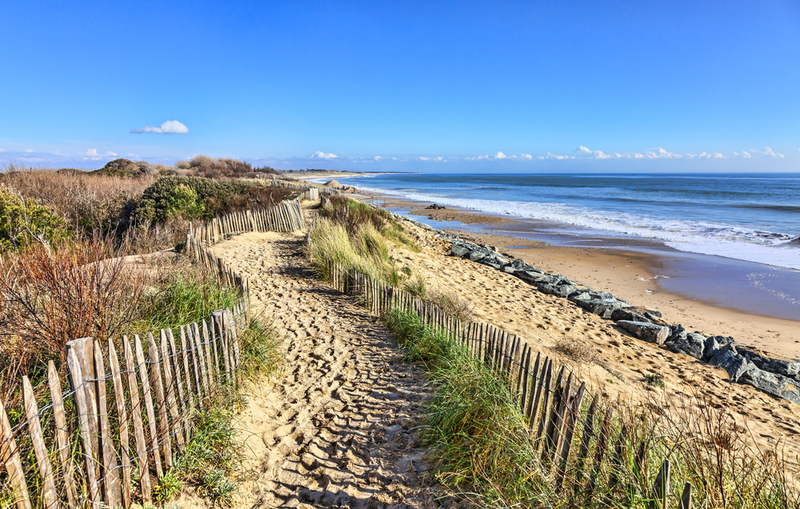 Some of the adventures were believed to have taken place in la Petite Bretagne, modern Brittany in northern France. Who was King Arthur? Where did he and his famous knights come from? Where does history end and legend begin? Legend has it that Lancelot was born in Brittany and Merlin lived in the forest in Brocéliande – can you find out about or visit the sites in France commemorating this? Is L’Ile d’Aval in Brittany Avalon, Arthur’s final resting place? In July 2016, François Hollande, the French president, visited the tiny town of Aubusson in central France. Why? For the opening of the UNESCO protected tapestry museum, where some of the world’s most famous tapestries have been made since the 14th century. Now it’s one of the only places in the world where wool is dyed and spun, then woven into tapestries, all in the one locality. The town itself dates back to the Iron Age and the Gallo-Roman period. Find about about the training of a weaver. Where in the world are some of these famous tapestries hung? Does UNESCO play an important role in protecting world heritage? How was wool dyed, and it the same now? Breton, Basque, Alsatian, Catalan, Corsican, Occitan and Francoprovençal are local languages spoken in France. Where? Are they still spoken? By how many people? How similar are they to French? Are there schools which teach in these languages? How were these languages suppressed, and what penalties were there for speaking them? Learn some basic phrases. Is it important for governments to spend money to retain minority languages? Why or why not? 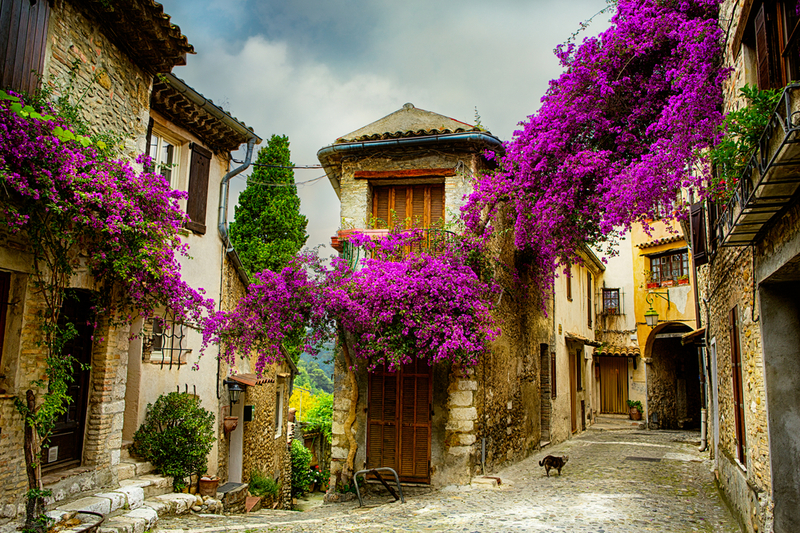 Most people know about the section of the Pilgrim’s Way, the Camino Frances, which starts in Saint-Jean-Pied-de-Port in the very south of France, and makes its way across Spain to Santiago. But pilgrims came from much further afield, from northern France, Switzerland, Belgium, the Netherlands and beyond. There are therefore many walking routes through France. Where? Which one is the most popular? Why was this walk undertaken? In its heyday in the 12th Century one third of the European population were believed to make the journey. How many people do these routes today? How would you prepare for such a journey? Were the challenges encountered the same as they are now? Walk a part of it if you can! In many parts of France, la chasse, or hunting, is a very popular leisure activity. So much so, that in some areas it’s not safe to walk in the woods on hunting days. There are hunting quotas prepared in each area by hunting organizations in liaison with the local town halls, and at different times of year, different animals may be hunted. Which animals are hunted? How does hunting help or hinder the local environment? Is there a clash between hunters and non-hunters? Can you find local people to interview to find out their views? At what age can children start hunting and what are the law surrounding the hunt? Young people and students played a pivotal role in the 1968 unrest in France, with the Paris students riots of 1968. 11 million workers joined in strikes across the country, which brought the entire economy of France to a stop. Find out about the sequence of events at that time. Why were the students protesting in the first place? What led to a massive 22% of the population all striking at the same time? What was the result of the unrest? In the European Union, France is considered as one of the “big three,” the other two being Germany and the United Kingdom (pre the Brexit vote of June 2016). Historically very pro-Europe, this position has wavered and the increasingly popular Front National are staunchly anti-EU. In 2014, 26% of French people were in favour of leaving the EU and 56% against. How has this changed since the Brexit vote? Who are the other members of the EU? Who were the original founding members (of the EEC)? Why was it founded? Which countries use the Euro? France is renowned for its markets. “Le marché” is a feature of French life. 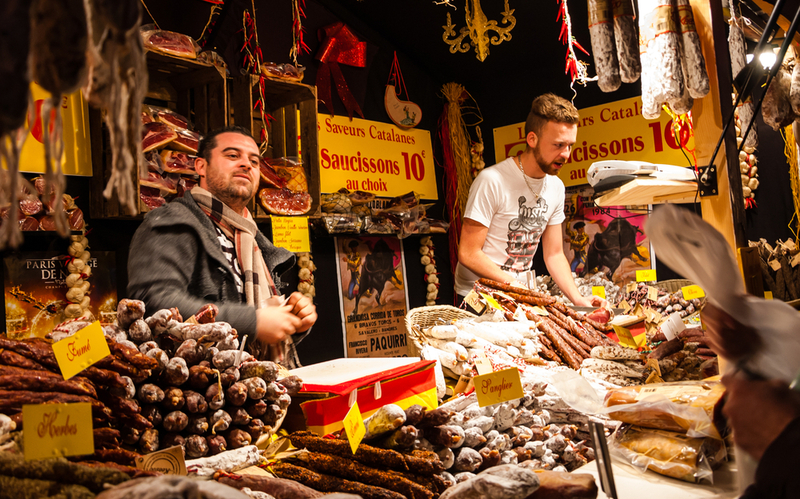 Most towns and villages have a market day, once or sometimes twice, a week and sell local produce as well as other goods Sometimes the markets are covered (marché couvert) and some are particularly well-known, such as the flea market at Porte de Clignancourt or the Strasbourg Christmas market. Choose an area and find out the market days. What do these markets sell? Where do the products come from? Or find out a little more about food production in France. Which crops are grown? What are the rules surrounding the sale of the famous baguette (it’s a heavily regulated market). Learn about Jose Bové, a French farmer, who hit the world’s news following his clash (literally) with the take-away giant Macdonalds – he and his farmer friends demolished a new Macdonalds under construction. His protest was to highlight the use of hormone-treated beef, and the US restrictions on the importation of Roquefort cheese and other products. You can’t miss out cheese on a French project list! It’s claimed that there are between 350 and 450 distinct types of cheese in France, and each area has its own specialties. What are their names? Are the made from goats’, cows’ or sheeps’ milk? Which are produced on farms and which are produced industrially? How is cheese made? What are the byproducts used for? France has the second most extensive rail network in Europe, after Germany. It was one of the first countries in the world to use high-speed technology and introduced the TGV high speed train in 1981. The RATP is the name of the transport system in Paris. How does it compare with other city transport systems in terms of cost and efficiency? Have a look at the names of the Metro stops – who are the famous people or places they are named after? Choose a Metro line and find out about the names from one end to the other. During the early 1900s competition was fierce as inventors worked hard and fast to be the first aviators to fly across major distances. Louis Bleriot was the first to fly the English Channel. It’s an adventure story par excellance, as he tried and failed, ten times, before he finally managed the feat on his eleventh attempt. France still maintains a presence in aeronautical advancement. The Air Bus facility in Toulouse offers tours which will bring your study of aviation in France up to the present. What have been the highlights of French Aviation? Were there any controversies, or mishaps? What are the innovations that France has had a hand in? When one thinks of France, SCUBA diving is not an activity that springs to mind immediately. However, SCUBA got it’s start here. Jacques Cousteau was born in Bordeaux and he tested his first prototypes in the French Mediterranean. Read more about SCUBA diving in France, including the history and modern opportunities. If you are not certified already, get certified while you are in France. How cool would it be to take the classes in the country where the sport originated? If you are a history buff, dive some of the WW2 wreck sites on both coasts. Do some cave diving in the fresh water rivers of Dordogne too. Don’t just study the history of diving & the life of Jacques Cousteau, experience it first hand and build your skill set! The Lascaux Cave paintings in the Dordogne are quite a big deal in terms of the history of life in Europe. They were discovered in 1940 and date back to the Palaeolithic period 20000 years ago. The Hall of Bulls chamber contains the biggest animal painting in a prehistoric cave anywhere in the world. They even used scaffolding all those years ago! Find out who discovered the cave. Which animals existed in Europe at the time the paintings were made? What was life like back then? Why did the build an exact replica of the caves for visitors? Mushrooms are a big thing in France, particularly in rural France where mushroom hunting is a skill passed on to most children. The first mushrooms of the season generate much excitement and stories of finds is all that can be heard in the streets and on local radio. A lot of money can be made selling the right mushrooms at the market. That coupled with their delicious taste means that the locations of good mushroom patches are heavily guarded secrets. Which mushrooms grow in France? Make a list of edible and poisonous ones. What are the identifying features of the edible mushrooms? Find out about some rare mushroom which grow in France like the octopus stinkhorn – the spores were thought to have been carried to France on the boots and equipment of Australian soldiers. There is no emblem more powerfully associated with a place than the Eiffel Tower is with Paris. And yet there are so many buildings in Paris with deeper history than the tower. Its building was controversial. Not everyone loved it or the idea. And yet, it’s become the classic representation of the whole country of France. It is the most visited landmark in the world. Read up on the history of Gustav Eiffel and his tower. Go to the museum on site and of course go all the way to the top. What do you think? How do you feel about the monument? Ask some local Parisians how they feel about it? Why was the tower important at the time it was built? What did the World’s Fair mean to the world, and to France, when they hosted it? Think (and maybe write, or blog) about how architecture becomes tied to our sense of place and our sense of belonging. Are there other monuments (in your culture, perhaps) that have a similar unifying effect? What are they and why do you think that is? But did you realize that these are just the big names from the last two hundred years or so? French art history goes so much deeper than that. 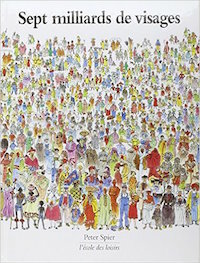 Just for fun, have a look at the Artcyclopedia for French Artists. I had no idea there were THAT MANY French artists either! Make a project of studying one artist in particular who intrigues you. Or, compare and contrast within a genre, or an era, or a medium. One young person I know studied French Impressionism in all of the museums of Paris. Another, compared sculptors: Degas with Rodin; two very different styles and subjects. I photographed paintings of mothers and infants for a whole week, while I was missing the birth of an important baby at home, as a gift for the mother, and as an investigation into styles for myself. What will you do? Along with Italy, France is a driving force in international fashion. If fashion is your thing, then perhaps you want to time your visit to France to coincide with Paris Fashion Week, which happens twice a year. It’s the ultimate field trip for the fashionista! Of course France was a major player in both WW1 and WW2. For many visitors to France the historical cites associated with the wars are often part of the itinerary. Regardless of your interest in history or the military battles, there is much that can be learned about French culture and the everyday people who were working to survive in the midst of the war. A visit to Normandy is the only way to truly connect with the scope of DDay. In and around Paris are numerous musueums and monuments to the wars. Visit these as you come upon them and reflect on the reality that it is within only three to five generations that these world changing wars took place. They have changed the face of Europe drastically. 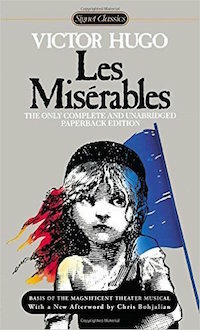 There are two sorts of famous literature associated with France: That written by French authors, and that written by famous authors who were residing in France at the time of the writing. Both are important and both are worth reading. Definitely read some good French literature while you are traveling in France, and definitely read some works by other folks who traveled through or lived there at some point in their writing lives. 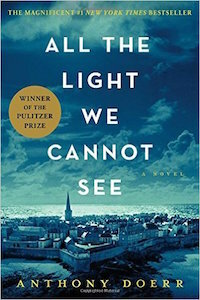 Of course there are countless books set in France or written about it by more modern authors. Read a range of things, document your reading by keeping a running list in your travel journal. France has been struggling for sometime now with the question of religious freedom and how to manage that within a country that is secular. In 2004 the French government banned school children from displaying any sort of religious symbol. In 2011 they went further and banned any clothing that covers the face, aimed at Muslim women’s niqab (the version of a veil that only leaves a slit for the eyes) but also face masks or balaclavas. In 2016 they went a step further and banned “burkinis” an ultra-modest swimming costume favored by Muslim women, in all public pools and on public beaches. France has the largest Muslim minority population in Western Europe. In the wake of terror attacks by Muslim extremists in both Paris and Marseille in 2016, tensions are running high in France along religious divides. Ask some questions and do some observation while you are in France. Consider the question of religious liberty, as it exists and as you consider the ideal to be. What do you think of France’s move towards increased secularism through legal controls on religious expression? What effect is this having within France, based on your observations? There are complex issues surrounding the integration of Muslim immigrants in France. Currently 5 million Muslims call France home. Many families from Algeria were encouraged to move to France following the Algerian War of Independence from 1954 – 1962. French Muslims also originate from other former colonies, such as Morocco. Do you know the history of these countries becoming independent? How can integration of French Muslims be affected? How can the situation be improved, a situation which has existed for years but is particularly tense following the recent bombings on French soil? Are the anti-terrorism laws in France working? Where does education fit into this religious picture? The BBC documentary Islam in France looks at some of these issues, and the rise of the anti-immigration National Front party in France. “The Jungle” is the nick-name given to the refugee encampment beside the port of Calais in France. Exact numbers are not known but around 6000 people are believed to be camped there, trying to get into the UK. Conditions are squalid, tensions run high, within the camps and between refugees and local people. Aid workers are struggling to help due to the lack of infrastructure. Where are these refugees from, where have they travelled from? What is the attraction of the UK, when refugees have often passed through other European countries to get to Calais, is it family already there? What aid is present in the Jungle? What day to day problems does the camp face? What are the authorities’ positions? If there is an opportunity to volunteer with the refugees, consider spending some time doing so, asking questions, and learning about what it has been like for them to leave their homes and resettle in France. What are the day to day realities for the refugees? What are the political realities? How do the French feel about their presence? Are there any good stories or hopeful stories to share? If you cannot visit the refugee camps and serve, in person. Spend some time studying the situation and learning about the infrastructure and NGOs in place which are trying to meet the needs of the stranded. What are you learning about the realities of displaced people groups? The Academie Française was originally established in 1635 by Cardinal Richelieu. Its 40 members are known informally as “the immortals.” It is the official authority on the usage, grammar, and vocabulary of the French language. They also produce an official dictionary. They often make controversial decisions, and voted against government protection of regional languages (Breton, Basque, Alsatian, Catalan, Corsican, Occitan and Francoprovençal) in 2008. Do you know about these regional language, their history and measures which were taken against them in the past? Should they be protected? Is a language Academy a good idea or a bad idea? What controversial decisions has the Academie made? How does this affect the education system? A ban on performing animals is sweeping Europe: they are still allowed in France, but a movement against this has been growing. Should performing animals be banned from circuses and shows, and where will they go if they are banned? How much protection is given to animals in France? 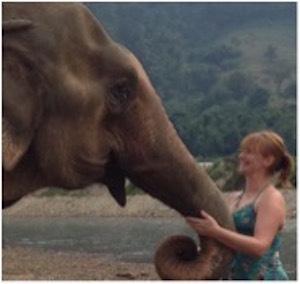 Research or volunteer with the charity, Elephant Haven, the first elephant sanctuary in Europe (near Limoges). Find out the role zoos play in modern society? What animal protection organisations exist in France? Research or volunteer with the SPA (Societé Protection d’Animaux). Poor urban environments around the cities, knowns as banlieues have been a long term problem for France. In 2005 riots erupted in these urban blocks which house primarily lower income families, many of whom are immigrants. More than ten years later they remain a big problem, socially and politically. Over ten million people live in the banlieues and in some neighbourhoods unemployment is over 40%. Take a look at the news over the past ten years and investigate the deeper problems within the banlieues and how these have been either ameliorated, or exacerbated by the political action surrounding them. Do you notice any trends within the culture of these neighbourhoods and their interaction with the rest of French society? Poverty is always a multi-faceted problem, and there are no bandaid solutions, what do you see France doing right (what is bearing fruit) and what could be done differently? Are there any private initiatives you see making progress in these areas? 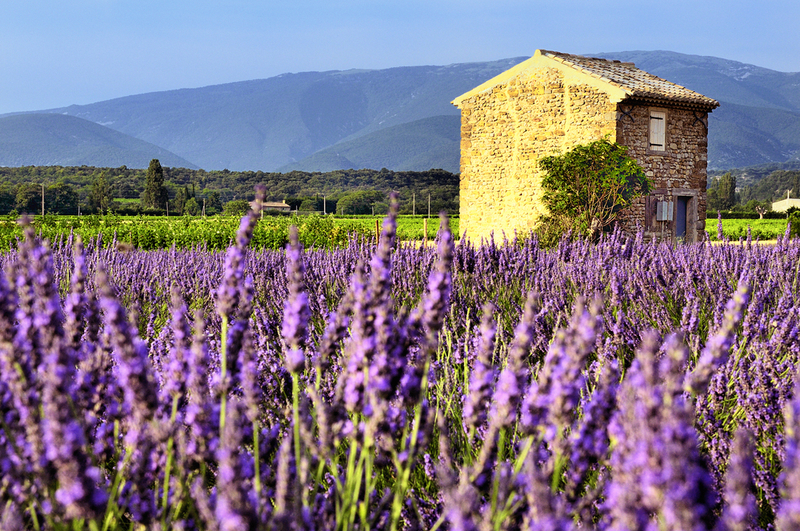 France is considered culinary heaven by many connoisseurs. Explore the dishes that are uniquely French and traditional across the country. Rillets de Canard, fresh baguettes, meringues as big as your head, crepes, both sweet and savory, souffles, tartares, cassoulet, foie gras, bouillabaisse, ratatouille, and oh the cheeses! The list goes on and on! 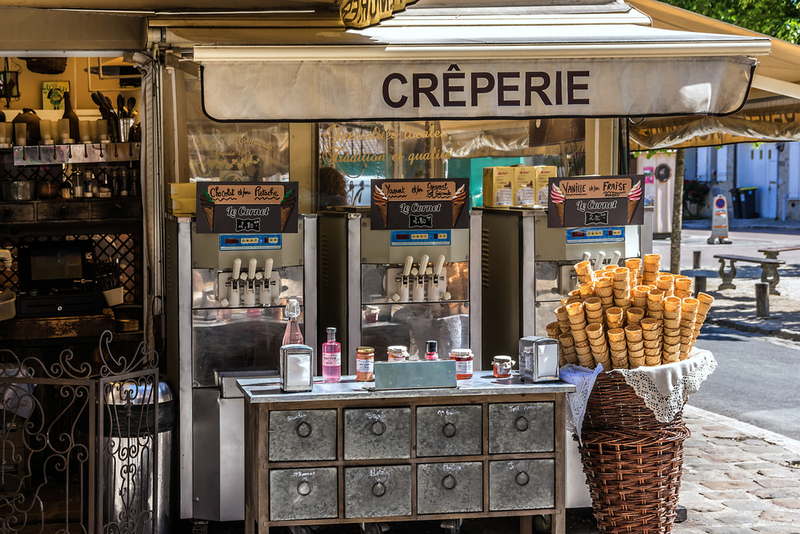 Why is France such a “foodie” place? Do French people spend more on food as a percentage of their income than other countries? Although France is renowned for its frogs legs, snails in garlic and Madeleine cakes, what are the other regional specialties? Why not collect some recipes or try making some. France has firmly held onto the tradition of long lunches from 12noon to 2pm, and lunch vouchers are a very common work perk: is this changing? Why is the baguette that shape? If you want to edible snail hunt yourself, where should you look and for which kind of snail? What do the traditional meals eaten at Christmas or New Year consist of? Find out about the tradition of the Galette du Roi in January – how do you become King or Queen for the day? Paris has some of the best museums in the world and if you’re traveling as a family you’ll be glad to know that most of them are free for kids under 16! You could take a couple of weeks over the museums alone and not have seen everything there is to see, but it’s not only just in Paris that art and history abound in France. 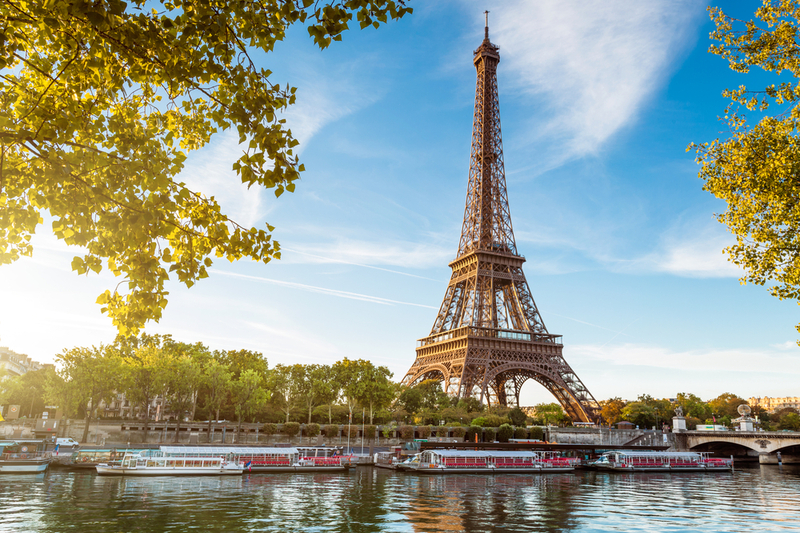 In Paris, perhaps the most well known are the Musée d’Orsay, Louvre and Pompidou centre, and the Jardin des Plantes near Austerlitz train station which has a natural history section ideal for kids. Try to visit on the first Sunday of the month – since 2000, many museums and galleries are free to enter that day. Every year there are also the Journées de Patrimoine in September (in 2016, the 17th and 18th): this is a time when some building which are usually closed to the general public open their doors. You can see many interesting things: TV studios, the Senate, even the washing machine for the metro trains in Paris! And again, these Heritage Days take place throughout France. Do you know what this map might represent? It’s the number of kisses, “les bises“, which French people give to each other when they greet. How many kisses do the colours represent? Did you know that an estimated 3 full days of work are lost per year by French employees greeting each other in the mornings? Find out the views of young and older people on the “bises” and how important it is to them. What does “tutoyer” mean, and when and to who do you “tutoyer”. How do you greet if you have been out working in the garden and are all sweaty with dirty hands? There are so many rules! And they all differ depending upon where in France you are. If you’re looking for a list of volunteer opportunities in France, Transitions Abroad has one. Please be advised that TAP is not recommending these, only presenting them as a list of possibilities. Vet your volunteer options carefully. Get out of the hostel, rent a place in a local village, or do a homestay. Through websites like Airbnb it’s easy to find places to live locally. Consider a co-living space to develop community with like minded travelers while diving a little deeper and going a little bit more local. Hacker House XIX, and Hacker House Paris Canal Street, are two in Paris that run in the 450-500 EU a month range. Challenge yourself to take every type of public transportation available while you are in France. Create a photo essay or videologue of your adventures. What did you learn? France is a very secular society, in the public sphere, but privately, religions of many types are still practiced widely. Think about why France might make the choice to secularize public society and remove religion from so many of the institutions of the state, like schools? Catholic cathedrals and basilicas still make up some of the country’s most visited landmarks, like Notre Dame in Paris. There is a thriving minority of Islamic sects across France. There are also smatterings of protestantism, Asian religions, and ancient beliefs that are still actively practiced. Take some time to attend various religious observances and see what you can learn. Don’t be afraid to ask questions. How does the religious climate in France compare with what you grew up with? Jen Taylor and her family have a blog www.travelteachtalk.com – about moving to and settling in France, home-educating there, and long term travel in a campervan. They moved from Scotland to central France 9 years ago and settled in a tiny, rural hamlet with 2 street lamps and a handful of lovely neighbours. Much of their primary school experience was identical to that portrayed in the film “To be and to Have”: a single-class rural school, where they made up one fifth of the school roll of 15. Initially they had the best job ever on the farm next door making goats cheese. Jen now teaches week-long English courses all over the world and Neil, her husband, fixes (mainly agricultural) machines that are broken. One son has just flown the nest and is in Thailand working, one is at the local French lycée and will do his Baccelariate next year, and the youngest (12) worldschools, is weaving her way through the administrative hoops in France to allow her to do this, and sometimes accompanies mum on her teaching gigs.